The popularity of revenge stories can be seen in the success of action-thrillers like John Wick and Kill Bill. There is a vicious satisfaction in watching a hero violently complete their journey to retribution. But in the Chinese historical drama Nirvana in Fire (Langya Bang), the main character Mei Changsu (played by Hu Ge) pursues his revenge without bloodying his hands and uses only his cunning instead of physical prowess. Even though Mei Changsu is not a typical action hero, viewers still become emotionally invested in watching him succeed in his quest for justice, twelve years in the making. Set loosely in the period of the Southern and Northern dynasties (420-589 CE), Nirvana in Fire takes place primarily in the capital of Liang. 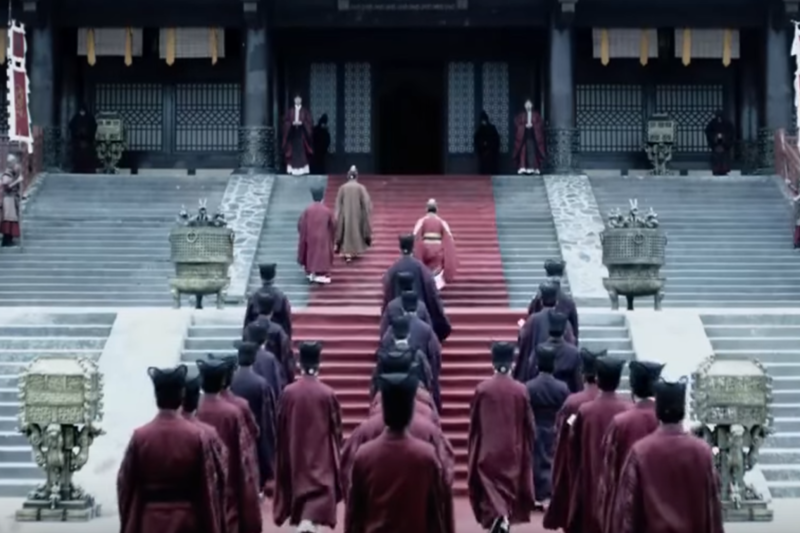 The first two episodes introduce two princes who are rivals for the Emperor’s favor: The Crown Prince (Gao Xin) and Prince Yu (Victor Huang). Both of them consult a mountain oracle for guidance and the resultant prophecy tells them: Whoever can gain the assistance of Mei Changsu, leader of the Jiangzuo Alliance, then they will rule “All Under Heaven” (the known world). 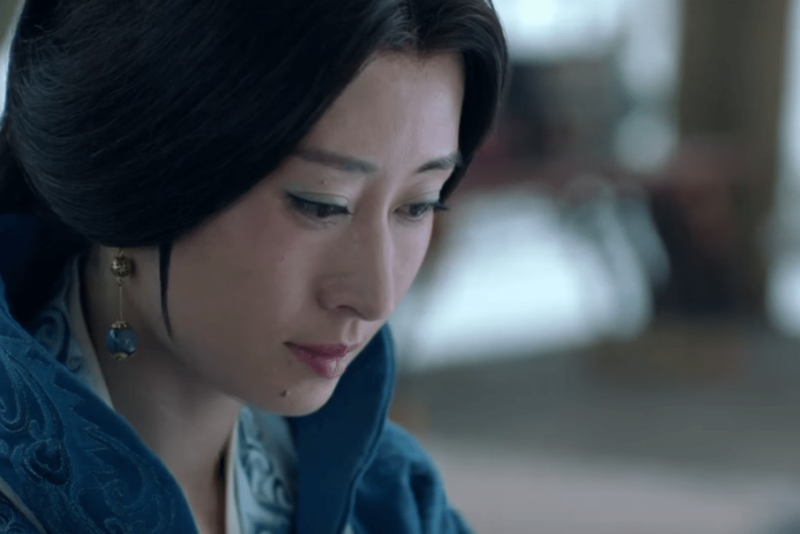 Both princes attempt to convince Mei Changsu to support their side in the bid for the throne, but as the drama plays out, it is evident the strategist has his own ideas of who he will be supporting. Like many Chinese historical dramas, Nirvana in Fire blends history with fantasy. Many characters are skilled martial artists and are challenge each other for rankings on the list of top martial artists in the realm. They are capable of extraordinary feats like leaping up buildings with a single bound or shattering all the bones in a man’s hand with a swift strike. But Nirvana in Fire does not fall under the wuxia genre of historical dramas, because its focus is not on a single warrior’s rise to power and greatness. Mei Changsu does not possess any martial arts ability, but he is surrounded by people who do. It speaks to his charisma and intelligence that he is able to attract these fighters to his cause, and it is in this cast of characters that makes the drama a delight to watch. What appeals to me as a female viewer is the depiction of women in capable roles. Although Chinese history often places women in submissive roles in relation to men–wife, concubine, and mother–many times this is subverted in modern Chinese dramas by making women martial artists who can fight their own battles or are portrayed as forces to be reckoned with in the background while they influence powerful men to fulfill their own ends. Many of these women can be found in Nirvana in Fire, such as Nihuang (Liu Tao), a Princess and General. She was the leader of her own loyal army and the Emperor (Ding Yongdai) is eager to marry her off to secure a suitable alliance, but also to control her through her future husband. The Emperor does this by staging a martial arts competition and scholarly exam, but Nihuang takes the matter into her own hands by demanding she also spar against the top-ranked warriors of the competition. The resulting struggle to determine who will be her husband is a highly suspenseful one that involves unexpected suitors from other kingdoms and introduces the scheming women of the Inner Palace. The Empress and various consorts of the Inner Palace have their own roles to play in which Prince they support in the bid for the throne. Of note is Consort Jing (Liu Mintao), Prince Jing’s mother, who is portrayed as a highly intelligent woman who was able to survive the intrigues of the Inner Palace for decades while being an unfavored concubine. One of my favorite characters is Xia Dong (Zhang Lingxin), a detective within the Emperor’s personal bureau of investigators and Nihuang’s friend. She is a skilled martial artist herself and a widower. I found her storyline engaging because much of it revolves around how the loss of her husband in the war affects her relationships with the people around her. She becomes obsessed with her job and the pursuit of her own justice, and this after-effect of war on the widows and family members is usually not addressed in war dramas. Women in Nirvana in Fire are skilled fighters and/or loyal family members. They are neither evil seductresses or helpless victims to be terrorized by the men in their lives. Although they are constricted by the limitations society sets them in, they are far from powerless. Romance is also not a focus in this drama, which I thought would affect the tension of the story, but surprisingly the reliance of the drama on other relationships made the lack of romance unnoticeable. The drama features strong “bromances,” loyal friendships forged by war or common history, as well as complicated family relationships. These male friendships bring comedic relief and touching moments to what could have been a grim and humorless tale. Mei Changsu’s innocent bodyguard Fei Liu (Wu Lei) and his antics, as well as the banter of Jingrui (Cheng Haofeng) and Yujin (Guo Xiaoran), lighten the story. These human moments also remind Mei Changsu of the impact his plots have on the people around him and the cost to himself when he carries out his plans. I found myself utterly entranced by the complexity of Mei Changsu’s plots to undermine the power of the Crown Prince and Prince Yu. Intrigue is a central component to the drama as both princes struggle to maintain their influence in the various departments of the bureaucracy that governs the empire. They also have to justify themselves in open court in front of government officials as well as their own watchful father, who is aware of every mistake. The Game of Thrones fan who finds the political intrigue in the show appealing may greatly enjoy the conspiracies like I did. 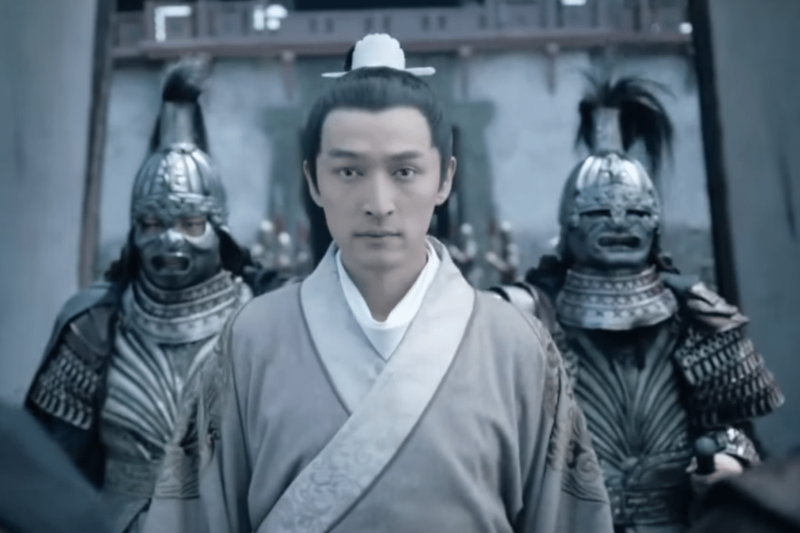 While some dramas have the tendency to drag out storylines with a bloated middle, I found that with the complexity of the story, Nirvana in Fire does need most of its 54 episodes to introduce and conclude all of the loose plot points. Although it does start out with a large cast of characters, over the course of the story I found myself caring for most of them and retaining sympathy for the villains and the distrustful Emperor. The drama is also visually appealing, with elegant set pieces and gorgeous costuming. The political maneuvering, both in court and behind the scenes, are definite highlights of this drama, at times competing with the combat scenes for tension. Which is just as well, since the CGI battle scenes are the weakest points of the drama. The battle scenes involve cartoonish fights and spurts of fake blood, making them comical rather than suspenseful. But these awkward moments are few and far between, as the drama tells an epic story of enduring friendship, loyalty, and sacrifice.